Until the recent arrival of its Citigo, the Fabia was the smallest car Skoda sold, competing against the likes of the Ford Fiesta, Opel Corsa and Renault Clio in the supermini sector. 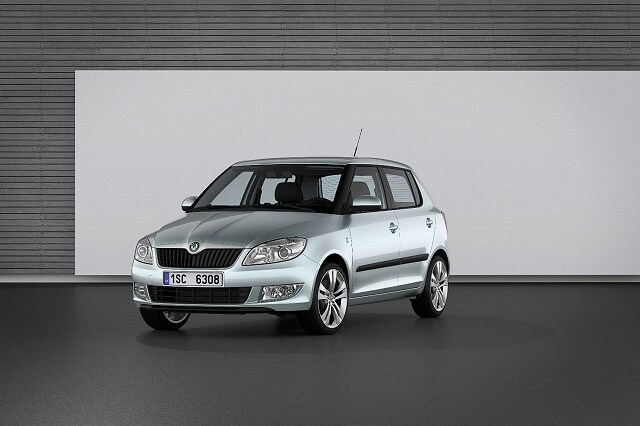 Superseding the first Fabia, unveiled in 1999, the supermini has become one of the firm’s best sellers. Until the recent arrival of its Citigo, the Fabia was the smallest car Skoda sold, competing against the likes of the Ford Fiesta, Opel Corsa and Renault Clio in the supermini sector. Superseding the first Fabia, unveiled in 1999, the supermini has become one of the firm’s best sellers thanks to low running costs, decent packaging and a wide range of engines. It’s also one of the few superminis available as an estate, which helps it appeal to family buyers especially. Despite sharing its platform with the Volkswagen Polo the Fabia has never been offered as a three-door hatchback - only a five-door. However, that hasn’t stopped the firm offering buyers some added value; step forward the Fabia Estate, a supermini benefitting from a generous 505-litre load space. But Skoda didn’t limit buyers’ choice to body style, as throughout its life the Fabia was available with an array of diesel and petrol engines. Those after the latter could choose from 1.2-, 1.4- and 1.6-litre petrol units - some of which were turbocharged, as is the case with the hot RS model producing 180hp. Early cars could be had with the 1.9-litre diesel, though this gruff unit was soon replaced with a common rail 1.6-litre lump. There was also a 1.4-litre three-cylinder, which was pick of the bunch, as, though it was no more smooth than the 1.9, it was much more frugal - this was later replaced with an even smaller 1.2-litre three-cylinder unit. Depending on engine choice there was a selection of five- and six-speed manual gearboxes to choose from, and the excellent seven-speed dual clutch automatic. Less clear are the trim levels, which initially ran through Classic, Ambiente and Elegance badges. Now the car is offered as a standard Fabia, racy Monte Carlo, frugal Greenline or hot RS - the best advice is to judge each car individually. If your budget will stretch then we’d put our money into a 1.2-litre TSI model, the four-cylinder turbocharged unit offers bags of power when needed and impressive economy and CO2 figures. However it was only offered on later models and more modest budgets might suit a diesel - the 1.4TDI in particular. The three-cylinder could be a bit gruff and it only had 80hp, but also managed to return 4.6 litres/100km and emit only 120g/km. We’d also opt for the estate if you can find one, as it doesn’t look any less appealing but has bags more room than the hatchback. Aim for either Comfort or Ambiente for a decent specification. The Skoda Fabia may not be as exciting to drive as a Ford Fiesta or as well built as a Volkswagen Polo, but it is spacious, practical, solid and cheap to run - some of the most important supermini qualities. The fact there are plenty for sale on the used market and Skoda boasts a rock-solid reputation for reliability and customer care should be enough to convince any doubters that the Fabia is worth seeking out.